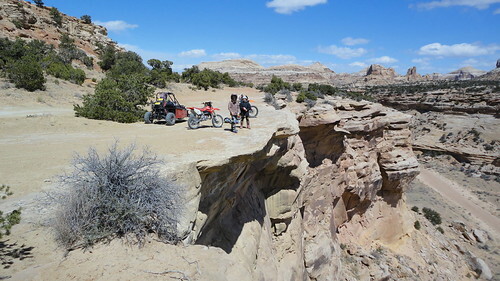 This is one of the more popular ATV and dirt bike loops in the San Rafael Swell. 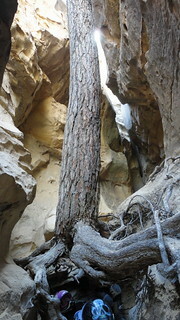 It is a scenic ride with multiple places to stop and take in the sites. 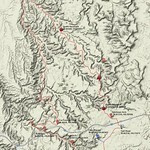 Highlights of the trail are Lone Warrior Pictograph, Swasey's Cabin, Eagle Arch, I-70 bridges, and the views from Eva Conover Road and Devil's Racetrack. This is a good family ride, but portions of Devil's Racetrack are quite difficult and rough and will be a challenge. 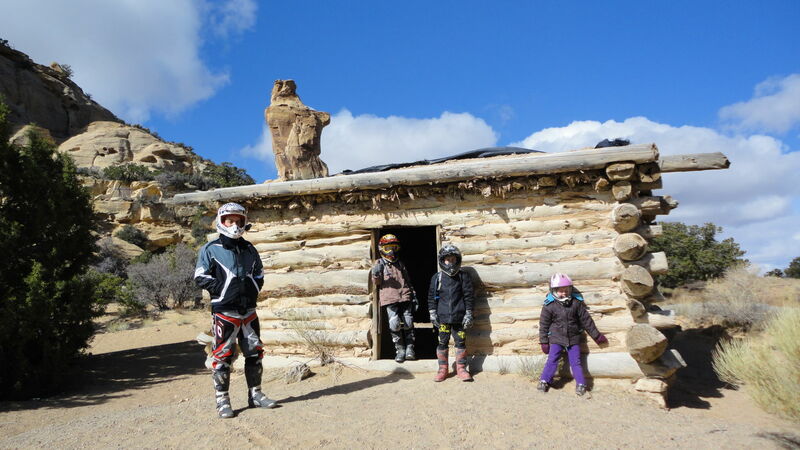 For a more family friendly ride you may wish to ride to the bottom of Eagle Canyon and return the same way. You will still see some good sites but avoid the difficult Devil's Racetrack. For a shorter more technical ride, you may instead wish to travel Devil's racetrack out and back. I really enjoyed this ride a few times while we were there. The full loop can be completed either way, but we traveled it in a clockwise direction. From the "Trail Head" on the map, it's only a short distance to Lone Warrior spur, then again to Swasey's Cabin where the Eagle Canyon Trail Head sign is and the dirt road becomes more of an ATV trail. A short distance from Swasey's Cabin is a place called "The Icebox", which is where the swasey's use to store food to keep it cool. It's easy to find and well marked and a fun place for kids before you get going on the ride. From here you'll pass Eagle Arch on the right. This is another good place to stop and get some pictures. 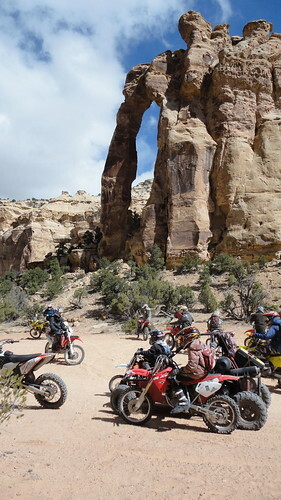 After Eagle Arch, you'll cross under the I-70 bridges. These bridges are impressive as they pass over the deep canyon. At the end of Eagle Canyon you'll have the option to turn left or right, take the right turn and head up the rocky road climb towards the East. As you get close to I-70, you'll come to a point where you'll be riding on pavement. Watch for the Eva Cover Road head which spurs left before you reach I-70. Eva Conover Road heads North and is easy to follow. It will drop down into South Coal Wash. This wash can have some deep sand and also a bit of water at times. Follow this until you spur with North Coal Wash on the right. North Coal Wash will spur sharp right and head SE. Follow the wash until you see the sign to Devil's Racetrack on the right. Another option is to keep left and go up fixit pass. 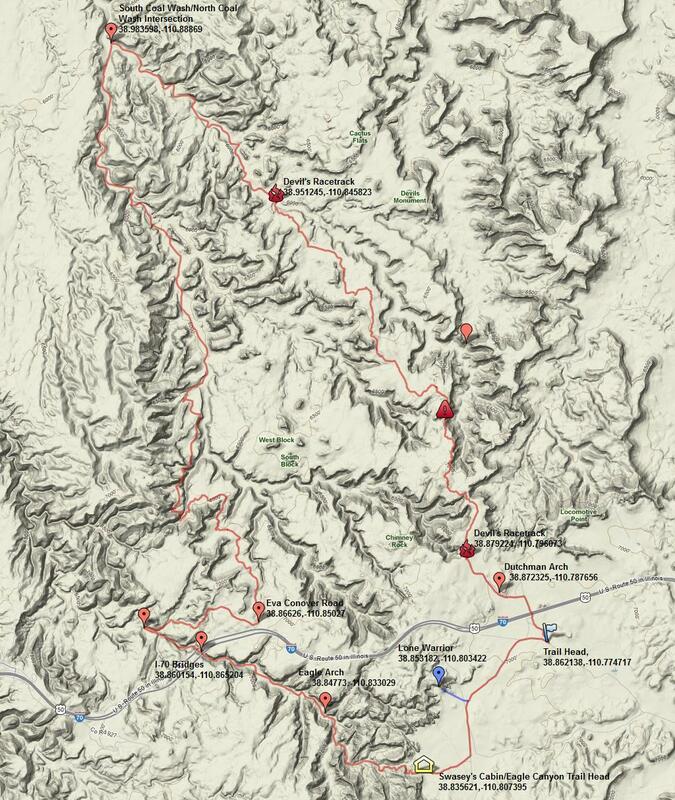 Our route however followed Devil's Racetrack back towards I-70. As the rough Devil's Racetrack ends, Duthman Arch will be on the left. Then travel under the tunnels at I-70 and back to the "Trail Head" where you started. This trail is remote, so go prepared. We went on a busy weekend and did see quite a few atv's, jeeps, and dirt bikes on the trail, but there were still stretches where we didn't see anyone for quite some time. We had a mechanical failure on our buggy through the racetrack that set us back a bit and we also witnessed a 4 wheeler roll over on a guy who wasn't wearing a helmet a short distance from where we had our problems. 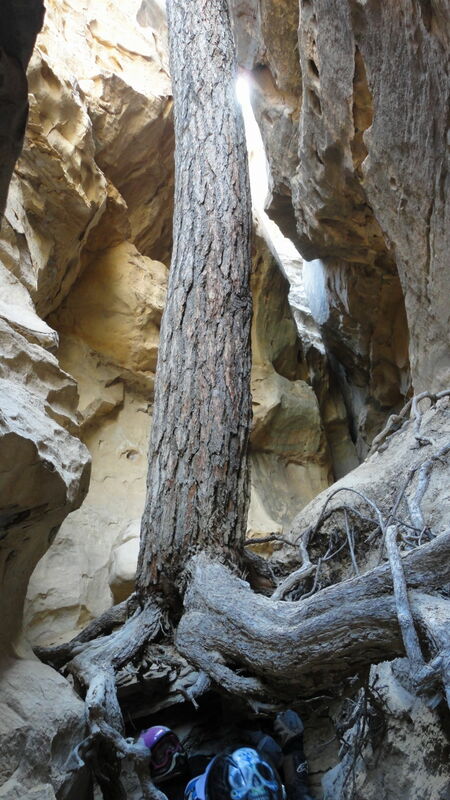 The first time we ran this trail was in a rock buggy and it was a fairly easy trail for it however. Most younger riders will struggle on the racetrack so keep this in mind if the youth in your group don't like challenging trails. Our boys did fine, but did struggle at times.